The market for premium laptops has been growing in recent years, with thin and powerful 15-inch laptops like the Dell XPS 15 or Apple MacBook Pro 15 as one of the growth-segments. 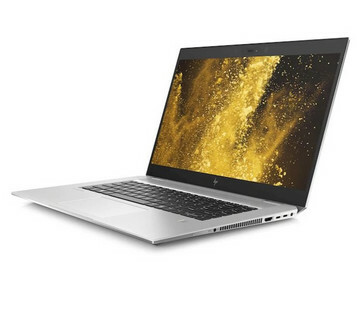 Reason enough for HP to release the new EliteBook 1050 G1, which offers a hexa-core CPU and the Nvidia GeForce GTX 1050 in a thin 15-inch chassis. The XPS 15 has been a great success for Dell in recent years. It occupies a category formerly only served by the Apple MacBook Pro 15: A thin 15-inch laptop with premium quality and amazing speed. The XPS 15 also has a Workstation-variant in form of the Dell Precision 5530. Naturally, where there is success, others want to repeat this success. 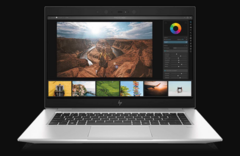 HP has released a powerful premium 15-inch Ultrabook before, in form of the HP ZBook Studio, though this model specifically targets the workstation market. With its Quadro-graphics and ECC-RAM, this model is more of a challenger for the Precision 5530 than the XPS 15. 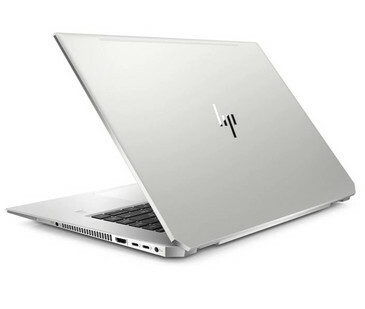 Yesterday, HP announced an all-new addition to its premium business-line, the HP EliteBook 1050 G1. The EliteBook 1050 G1 directly takes on the Dell XPS 15 and Apple MacBook Pro 15: Its military-tested unibody metal chassis is just 18.9 mm thick and weighs just 4.54 lbs (starting weight). In this relatively thin and light frame, HP is using the newest high-performance hexa-core CPUs of the "Coffee Lake" generation like the Intel Core i7-8750H. But thats not all: Buying a business laptop normally means forgoing a powerful GPU – unless you want a mobile Workstation with a CAD-focused Quadro GPU. In that sense, the EliteBook 1050 G1 is truly special, as it incorporates the Nvidia GeForce GTX 1050, which should enable the user to play modern games. Though the GeForce GTX 1050 won't be enough to enable gaming in 4K, which is a shame, as the EliteBook 1050 G1 will be offered with a UHD/4K-screen as well as FHD-options. One of the screen-options will even provide a brightness of up to 650 cd/m². As impressive as its other specifications are, the expansion options of the HP EliteBook 1050 G1 don't disappoint either: It has two RAM-slots for up to 32 GB of RAM and two M.2-2280-SSD-slots, so it even supports RAID. Its ports-selection is also adequate, with HDMI, two USB-A-ports, two Thunderbolt-3-ports and a full-size SD-card-reader. The battery of the EliteBook 1050 G1 has a capacity of either 64 or 95.6 Wh, which roughly matches the Dell XPS 15. The EliteBook 1050 G1 will be available in the US in May, with a starting price of 1,899 US-Dollars. In Europe, the laptop is expected to be available in July, with a starting price of £1,199 in the UK.